Thanks for stopping by our site! Happy to have you, hope you stay awhile and browse around. Since we started our own family, I shoot everything solo except wedding days, when I get the pleasure of my husband's company and creativity. Loft3 is based out of cincinnati but we love to travel to shoot at least once a year. We've traveled all around the world together and have no plans on stopping anytime soon. We absolutely love what we do and have been passionate about it the last 8 years. Since I'm blessed enough to work fulltime from home, I am able to spend time homeschooling our daughter, Nori, and son, Nico. I love to share about our personal lives and happiness here with others through our photography. I pride myself on being able to relate and connect with people immeditely when shooting. I'm a very personable gal who can make friends with anyone. Our goal is to make memories from real moments. I want to capture how you really feel and ten years from now when you look at our work, you can immediately remember exactly how you felt in that moment. We are thrilled to share in all the special times in your lives. It's an honor to document all the big stages in YOUR life! forgot how much easier it is shooting kids when he’s around to help me out!! While Ben was clearing some miscellaneous junk out of the way, O found a prime spot on the heater. HA! or my family, but I feel like she’s begging me to share with you guys. So I decided I will. Feathers have been a consistent token from her. She was fidgeting the whole time and you can’t really tell in still frames but you can in the shot on the right. Adam nailed it. never seen the cute little lovebirds wedding photos, here they are. never get to run Olivia’s sweet silky locks through her fingers. The image on the right was Ali preparing on the wedding day. I love that Adam got this one and I took the below. We both caught the exact same split second moment. this day would come 5 yrs ago when they settled in that house and we would need the healing of being able to see it often. Crazy. “Ok, fine. Can I have smarties now?” She’s so cute even when she’s being rotten! So incredibly happy Ben thought of this idea. He decided to write about personal experience with the session on the Rock Pink Blog. What perfect memories for Olivia to have as an adult! Happy (belated) 3rd, Miss Olivia! Posted in ali, family., personal. Elizabeth - Wow Mel and Adam you guys nailed it. Such a great session of Olivia and Ben. Definitely needed tissues. You captured so many wonderful memories for them to share. Betsy - This is the most beautiful and touching post in the history of the world. Seriously, I know I sound dramatic here, but it’s just beautiful. emily - <3 i love this post so much. Tim Hinde - Beautiful, true love. Sarah Caito - This is amazing- heart wrenching and beautiful. Mimicking the wedding day photos was such a neat idea. Phillipa - This is beautiful, just beautiful! Blessings to you all. Natalie Curran - WOW!! as I read this at work, tears just streamed down my face. This was captured so well. It was beautiful!! Elijah Nicolas - A beautiful session to add to a rather sad time. The pictures are outstanding and I’m glad that all these moments were captured with the father and daughter. I couldn’t help but shed a few tears as I didn’t know the back story previously to clicking on this link. Bobbi - Whoa. Melanie. Adam. Ben. Gorgeous images. I have no words. I’m just sitting here in a pile of tears… with no words… wow. Melanie, what you do is such a gift. You captured the grace, the bittersweetness, the beauty, the sadness, the pride, the relationship as perfectly as I’ve seen. You my friend are an incredible artist. Sending all of my love your way. Love you all. Big time. Holly Flynn - well done, friend. beautifully said. perfectly captured. hugs & prayers. Mandy - What a beautiful gift for Olivia! You can see the lovely relationship between daddy and daughter. She can see his love in these pictures as she feels it each day. It’s clear she will hear how much her gorgeous mother loves her too. A heartbreaking story with many people who are honoring Ali’s life. Gail - Oh man…oh man, oh man, oh MAN. This session. You guys, just, incredible. The shots with the door and all the twirling and just …. : ********* ) is right! Paulette Dean - Beautiful expression of LOVE!!!! Hearts cannot help but be touched and inspired, prayers and thank you for sharing. Laura - These are *so* beautiful!! The feather, the twirling, the snuggling – all of it is captured so perfectly! Jenny Pabst - This photo session/blog popped up on my facebook wall via a friend of a friend of a friend… you know how that goes 🙂 These photos are simply gorgeous. My family and I also live in the Cincinnati area, Burlington, KY to be exact. After staring at your photos for well over an hour, I went to your blog and read about your sister. What an amazing sister you are. Your stories and photos hit close to home for me. I was diagnosed with breast cancer about 2 months ago. I have a 4-year-old son, a 3-year-old daughter & I am now 9 months pregnant. Reading your blog gives me faith that no matter what happens, the love will continue. Thank you for sharing. Your niece is beautiful and her Daddy seems to be amazing! KortneeKate - When Ali died I went to her funeral and day in the back. I had never met her before but after reading about her I felt compelled to go. I was 7 months pregnant with eesajane and now, seeing these images with my little girl sleeping in the next room makes me ache. I am so sorry guys. But you all are doing the best possible thing you can do, honoring her memory and never forgetting… And most importantly, never letting it all make you bitter. It’s incredible! Love from us! Know Ben, Went to school with my daughter Brooke Money. The Nunerys are n my Prayers and thoughts. Elizabeth - Thank you. Just . . . thank you. Megan - Beautiful, Perfect photos. I love going back to the wedding photos. I love the feather. I love them and I love little O. Beautiful work. tara pollard pakosta - this breaks my heart, these pictures are AMAZING, especially the re-create ones, LOVE THEM. so precious. he seems like such a great daddy. I went back and read some of your sister’s story, it’s so very sad and I am so sorry for your loss. She was absolutely beautiful. This really touches my heart as my husband is fighting a terminal brain cancer (GBM Known as Glioblastoma Multiforme). Cancer is a horrible journey, I wouldn’t wish it upon anyone. Again, thanks for sharing such a beautiful story and beautiful images. much love and healing to you all. susan - What great memories she has, very nice, she sees her angel. Jennifer - What incredible photos and memories – I needed to read this when I was at home, yet I’m sitting here at work tears streaming from my face, SO sorry for your loss, what an amazing story and beautiful family. Julie - I don’t know you, I don’t know Ali, but I came across this post by accident… or maybe by fate. I really loved reading this story and learning about Ali through you. I lost a dear friend to lung cancer this last April and getting through even the most normal-seeming life moments are often unbearable because we just miss her so much. This post is a beautiful way to honor your sister and a beautiful way to show that you never have to forget them, even though they are gone. Mandy - This is such a beautiful post. Photos are such a great way to make those moments everlasting. My boyfriend passed away in June, and I would give anything to have more photos of our life together. Jennie - Beautiful! What an amazing way to remember the memories shared in the house. You should make a photo book for Ali as a Christmas gift to look through with her daddy. Include ALL the images you posted here, if not more, and tell the stories behind them. Again wonderful pictures and beautiful family! mandy - This story touched me so much. I am also a photographer and realize how important it is to capture these precious memories. Although I don’t know your family I wish you all the strength and peace that God has to offer for your family. erica - I have no idea how this post popped up on my computer! All I know is I started looking through these images before reading or having any idea of your families story and I could feel your complete story. The most amazing images I’ve ever felt. And thank you for sharing something so personal… the world is a more beautiful place because you share your gift. Your niece will always know her mommy because of you guys. . .
JmA - Wow. So many emotions looking at these images. Absolutely beautiful work. Corrie - These are just so perfect and beautiful. I’m so glad I was able to see them. Emily Thomas - In the transition between the photo of Ben looking at his wife and of Ben looking at his daughter in the exact same spot, I just lost it. The expression in his eyes changes so drastically. My heart broke into a million pieces. These photos are beautiful. Great work. manuela Busack - THis is truely beautiful!! TO many touching images, memories, filled with love. manuela Busack - Typo in my first message ignore “TO”. It’s truely beautiful. I also love how the little girl talks to the “Mommy” angel. Grace - Thank you so SO very much for this. And especially for sharing this with us. My heart needed the exercise this evening. I lost a sister just over 10 years ago, and haven’t cried in a good long while. THank you for this. Sera Petras - Well, I definitely needed a tissue, or a box. These are such special photos. The love that you see between them is incredible. You can see a sweet sadness, but hope as well in these photos. Beautiful job. Beautiful story. rockstarmamastyle - *Tears* I couldn’t hold back! This is so sweet, I can’t believe i’m crying. Thank you so much for sharing this is the sweetest thing i’ve read in a loong time, and I loved it! Shared it! and will read it again. mmamomma - Stumbled across this somehow, and am sitting at work with tears running down my cheeks. What am amazing love story all the way around. Oliva is blessed beyond words to have such am amazing Daddy, who Im sure will always keep Mommy alive in their hearts. I dont know anyone involved, but you can feel their love. Thank you for sharing. Emily D - Thank you. My eyes are welling with tears of such love for the beautiful souls in the photos and the family support surrounding them. Truly moving and a most precious gift for little Olivia. Your story has warmed our hearts in the ski town of Park City, Utah! The most magical of holiday wishes! j - this had me in tears at work. beautifully done. Jennifer - These pictures are absolutely beautiful and brought tears to my eyes. What a wonderful way to remember your sister! Greg - This is really beautiful. I saw this featured on msnbc.com and felt I had to write. My wife has leukemia and I have two small children – 5 and 2. These pictures and the story really moved me. Bless you all. Kristen - The timing of the publicity of these is so perfect for me. I lost the love of my life in August to the same awful disease. My boys and I will be leaving the home my husband and I worked on for the last 10 years to start a new life closer to their school. I needed way to sure up the memories built in our house even as I agree with Ben, his memory is in my heart; always and forever. Thanks for helping me get through this horribly sad time with a bit more hope. NICK - HEART WARMING. THANK YOU. Mary Jane Pallister - So very touching. It breaks my heart that this beautiful child will grow up without her mother. My nieces lost their mother to cancer when they were 14 and 16. Life is so unfair sometimes. Becky - I recently saw your story on MSN.com and I had to come see your family’s story and pictures. This is an amazing story, but too familiar in my life. My friend is a photographer. He and his wife were a magical couple with amazing stories to tell. They caught images similiar to these that speak volumes about the families they photographed. They have two beautiful children. They lost their mom, and he lost his 35 year old wife to lung cancer this summer. May you and your family be blessed with continued messages from your sister. Truly amazing. Tiffany - Beautiful pictures, just so touching. My sister also passed away from cancer, her son was three. Praying for your family to feel His peace! Sherlie Magaret - Beautiful and very moving, thank you for sharing with the rest of us. Tonya D. - Thank you for sharing something so private with the rest of the world. My dad, sister and I lost my mom to cancer in July 2013 While I am typing this, I can’t stop crying. This blog/pictures gives me hope that better days will come and the healing process will take time. Very touching story and thank you again for sharing. Brianna Hays - There are no words for how beautiful and touching this is. Ronni - What beautiful photo’s! Clearly you are an artist. I read the story behind these photo’s and my heart was touched very deeply. One reason why, is because many people wonder if there is a hope to see our dead loved ones again? I felt compelled to share the answer that I found from God’s word the bible. John 5:28,29 says, “Do not be amazed at this, the hour is coming when all those in the memorial tombs will hear his (Jesus) voice and come out.” Yes, there is going to be a resurrection right here on the earth in the near future by means of Jesus. I hope you found some comfort from these scriptures I know they have helped me. No matter what our beliefs are, we can always use a little comfort, especially knowing that, that precious little girl will see her mother again! Thank you for allowing me to share this. Wishing the family healed hearts. Mark - This comment is directed toward Ben: Young man, I know your heart is still aching at the loss of your beautiful wife. The pain, at times, can be searing and unbearable. I know. I lost my first wife 17 years ago when I was 39. At the time, my daughter was 7 years old. I thought my world had ended, and I would never recover. But I was able to rebuild my life. I remarried, and now we have a 14-year-old son and my daughter is 24. If I can make the harrowing transition, so can you. It hurts to move on, believe me. But likely your wife would want you to keep living, keep going, keep loving. My prayers are with you. Jamie - This is absolutely beautiful. I have not lost a spouse, but together we have lost a child. As I sit here looking at these pictures, holding a new baby, my heart still aches for our loss. Nothing replaces the person that is gone. I love this tribute to Ali. I am glad eternity in heaven with our loved ones is longer than life on earth without them. Thank you for sharing these pictures. SM - Wow- this is one of the most powerfully poignant photos n stories I ‘ve read. Thank you for sharing this with us- the rest of the world. How lovely it is to have loved and be loved by those alive and those above. Blessings to all of you- especially to Olivia. Ashley - Wow, I truly hope this goes viral. This is such an incredible tribute to all of their lives, and a visual statement of life after death. Thank you for sharing! Karen Unruh - I read the story posted on my MSN page, and then I followed as much as I could to read more. Most of the pictures on MSN would not open for me, so I was so happy I found you by searching your name. These pictures of Ben & Olivia are absolute beautiful! The story behind each picture was even more beautiful. I am so sorry that you had to deal with the loss of your precious sister, Ben’s precious wife & Olivia’s precious mother! My heart breaks for each of you, but then I am rejoicing that you will all be together again someday in Heaven. I rejoice in the fact that your sister is in Heaven perhaps watching over my precious grandbaby that was born and died on December 24, 2009. Madison Karee Hays was buried on New Year’s eve. Carolyn W. - Absolutely beautiful! Thank you for sharing. I love these words: “Love carries on, and it never dies”. I just buried my nephew in October and looking at the photos just brought tears to my eyes. Thank you for sharing so very much. Libby - This is absolutely heartbreakingly beautiful. My heart aches for this entire family. I will hug my son extra tight and pray for you all. Ali sounds like she was an amazing woman and I’m sure she’s very proud of Ben and Olivia! Jonathan - These are amazing! I saw this on FB and it really struck home to me! I lost my wife during childbirth eight years ago… It was a horrible experience but left behind was also a beautiful little girl. Pictures are a memory sake and I have plenty I share with her! She is a beautiful strong young girl with a joyous spirit like her mother! She also has a loving Aunt like you… Thank you again for sharing! There is hope and strength in each new day with Gods help! May your family continue to have it and grow. Paula - Very loving; I also checked out the wedding photos which were wonderful. Your sister’s memory lives on in these photos. Thanks for sharing! Lindsay - I am so moved, bawling as I look through these powerful and gorgeous photos. What a an incredible treasure and so inspiring on multiple levels. Thank you for sharing your family, your heart, and your talent. Sandi - This story is Beautiful! So sweet. It shows that we carry our loved ones in our hearts FOREVER!! What a wonderful person Ben must be to think of doing this! How very special for O!! Thank you for sharing. Tina - Seriously the most precious thing I’ve ever read. I’m walking beside my best friend whom is fighting a rare form of lung cancer! This touched my heart deeper than words. Thank you for sharing for sister. Kelly - O-M-G I’m balling reading this. Amazing! That’s all I can say! Jen - Wow, this is so amazing and moving. Good Luck and much Love to your beautiful family. Andy - beautiful shots and priceless moments..
Emma - Absolutely beautiful images. I’ve spent an hour admiring some of your other family photos. So. Much. Love. Thank you for sharing. paige - absolutely one of the most amazing tributes. ever. & i truly felt like i could hear the giggles and even the sighs…. Jacquie - Beautifully captured lenses of life. Thank you for sharing your heart and God given talent. Pictures are moments of our heartbeats. Theologian Bonhoeffer describes how pictures, for me, carries and sustains us after a loss so dear. May the Dear Lord comfort you. God Bless. Kim - What a beautiful tribute for all involved. I know that made her Mom and his Wife very proud. Thank you for sharing this, it’s very heartwarming. Sarah @ The Momisodes - Oh the tears. What a beautiful tribute. Jenna - I saw this story on Today.com and I was so moved to tears. This is such a beautiful way to remember your sister, Ben’s wife and Olivia’s mother. Your photos are stunning and I’m sure your sister is watching over you all with all the love she could give. Andrea B (@goodgirlgonered) - I don’t know you or your family, but I had to come by and see the complete photo shoot and your words after seeing the Today article on FB. I’m sitting here so touched and I wish you continued love. How beautiful these pictures are and your niece is a mini-version of your sister, so adorable. I’m so sorry for your loss and I think it must have been so rough to go through this session, but your moments will remain captured forever. Sending continued love and healing to you. And thank you for sharing about the feathers. Best to you. Anonymous - This is one of the most beautiful photo shoots I’ve ever seen (getting married in June, I’ve been looking over at least a hundred photo blogs for ideas and inspiration). This is such a reminder of what photography does: give image to love, and memory. It’s not about the “perfect” shots that look great, it’s about representing the pure joy in the moment. Thank you for capturing and sharing these moments with us. Wendy - I LOVE everything about these photos! I lost my husband to cancer a few years ago also and am left trying to preserve his memory to my boys that were 4 and 6 years old at the time of his passing. Leaving places they seem to connect with memories can be hard, but pictures are a FANTASTIC way to keep it alive. Thank you for sharing with the world! VRONICA ATTS - Truly beautiful and memorable. God Bless you and Olivia on your journey. Thank you for sharing this with us. michael mckay - Brought tears to my eyes. My wife Jill died of lung cancer on 7/30/09. My heart goes out to Ben and Olivia. Kimberly Estes - These are so beautiful and touching. Thank you so much for Sharing . Diana - That is truly beautiful! One of the best ideas ever from a Man! I did not even know the couple, and I am in love with what I see! Paul Rickmeyer - I just wanted to share with you and your family how close to home this story hits. My sister lost a two year battle with cancer this past July and left behind a husband and two little girls, ages 4 and 6. I know how gut wrenching the loss is. Reading your post was like reading my own journal entries. The part about how feathers accompany your sister’s presence brought tears to my eye and a lump in my throat. My sister loved butterflies. On the day of her funeral, a day that was soggy and rainy, a butterfly remained among us at the cemetery. A few weeks later, at the beach of all places, a butterfly landed on my nieces shoulder and fluttered around. They seem to appear just when we need them the most, seemingly out of nowhere, just like feathers in your case. These photos are beautiful, but they also capture the essence that can’t be explained in words – pure love despite an a void that will never, never be filled. Thank you for having the courage to share this heartfelt story. Aline - Olivia, you are a beautiful angel!!! Your mommy must be very proud up in the skies! Jane Bordalo - I absolutely love this. Thank you for sharing it as I know how difficult it must have been, but amazing results for the memories captured. Emily Schachleiter - These photos are amazing…. words can’t express how beautiful they are! There’s a black and white picture in there that Olivia is squinting her eyes and boy if that’s not Ali looking at you. Rinat - Absolutly flawless! An example for the power of art, how it has the ability to express feelings and thoughts in such a pure and touching way. I didn’t know Ali, but I am sure she is very proud. You are a wonderful man and a great father, olivia is an angel. Thank you for sharing us. magali - Wondeful pictures. Live them all. Jessica - Simplemente hermoso. Bendiciones. Bobbi - Wow… I was so moved by these pictures and the story!! erin. - Thanks for continuing to share Ben, Ali, and Olivia’s story. What beautiful pictures of their home as they say goodbye to it and hold on to the memories they’ve shared in it. I am in tears from reading your letter to Ali right now actually. Blessings and continued prayers to all of your family! Mandy - So, so, so touching. I hope to meet a man like Ben one day! Erin Krieg - One of my former coworkers posted the today.com article on Facebook which brought me to this post. I was the last nurse to take care of Ali in MICU. The very short time I spent her her and her family truly touched my life. And even though I’ve taken care of hundreds of patients and have been with many at the last moments and breaths, I have never forgotten her. I’m glad to see these images, what a fantastic way to remember. I’m so glad you guys decided to share an intimate moment of life and helping everyone see how real things can be. Raúl - What a great way to remember and show their daughter how much he loves her mommy. Romina - Stunning photos. So touching. Thank you for sharing them with us. Eirik - Thank you for touching us with such human spirit. J J Hultgren - Olivia is lucky to have Ben as a father, they are lucky to have eachother. So touching. The photos are stunning. tabitha - I had the pleasure of taking care of Ali in the hospital when she was diagnosed. I remember it being one of the worst and best times in my nursing career. Although I only shared a small part of her life she made an incredible impact on mine. I will never forget her (especially her smile) and appreciate you guys allowing me to be a small part in her life. The love that Ben showed her was breathtaking and these pictures of him and Olivia are beautiful. You can see his love for his girls in these pictures. I am so glad I saw these today. And just as I did with her in the hospital it made me cry! So beautiful. Jill - Thank you for sharing your experience, especially about the signs from your sister. I get signs from my late husband all the time and it’s hard to share that with just anyone for fear they’ll think I’m crazy. But I also think they want us to tell others – that life doesn’t end and love doesn’t die. Beautiful photos to record treasured memories. Take good care. tiffany - beautiful, absolutely beautiful! Anyway, just wanted to say I absolutely love these pictures. Wishing you all the luck in the world Ben and Olivia. Daisy - wow! 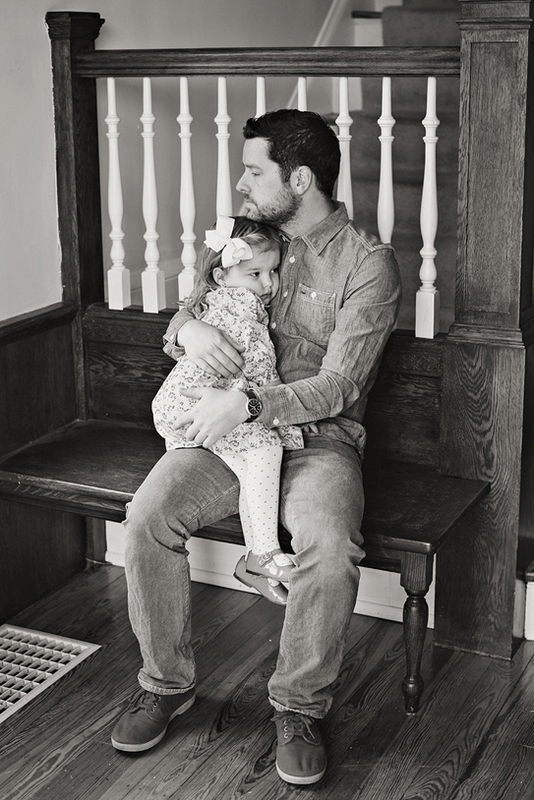 one of the most beautiful things i’ve ever seen….you really feel the love that ben and ali shared with each other and their beautiful little girl. so deeply touched….thank you for sharing! katie hope - This has touched my heart so very much. I am thankful that you have shared this with the world. Its pretty amazing that your sister was able to bring you a sense of peace and healing through something she knew you loved, photography. What a special project. Sending you and your family warm and happiness during this season!! Mich - Came across this via Mashable. Such a touching photo project, and so well executed. Bravo, and thank you. ilter - Sorry for your loss but thank you for the great photos and the story. The Redhead Riter - Priceless photos of eternal love. Thanks for sharing and hopefully it will helps us to remember not to take today for granted. Schélbia Fernanda - Linda História! Isto prova que o amor realmente existe. Emocionante! Abraços ao papai e filha. Tim Wut - Couldn’t help it, we really had to reblog it. (http://bit.ly/1gIKTW0) A strong, heartfelt thank you to you three for creating this beautiful project! Cielo - Es hermoso este gesto. se me escapó una lagrima al leer la noticia en un diario de Argentina. Cristian Eduardo Perez Espejo - No creo que sepan hasta que lugares han visto su hermosa dedicatoria a tu esposa, les deseo lo mejor a los dos, desde Concepción, Chile. Nana - Oh my God, that beautiful pictures. Ben you are a wonderful daddy and a good husband. Take care of yourself and Olivia. God blessings you. Have a nice 2014. Mel - What a Beautiful story, maybe her soul live on forever. Tobi - Very nice pictures … even if the story about the pictures very nice is not it … Many greetings from Germany and a Merry Christmas! Kathy Gendron - WOW, what Beautiful Pictures! Ben you are a Wonderful Daddy and what a Gorgeous little girl! God Bless you both! Arief Anshory Yusuf - Your photos has moved the world. Thank for sharing. Greeting from, Bandung, Indonesia. Jane - Thank You for sharing these beautiful images with the world. Although the story behind this photo shoot is heart wrenching…I can at least take a part of it and make it a positive one. Happy Holidays to the Nunery’s. carolina - Beautiful, I saw those pictures on the news in Chile, the impact that caused his photographs in other countries was awesome. congratulations, the message of the photos crossed the borders. Greetings from Chile…. Debbie - I was hesitant to look at this and watch the news video because I knew it would make me cry. My husband died of cancer at 30,24 years ago. I have spent so much time thinking of what he’s missed with our children. I don’t have a special photo shoot but treasure all our old photos. God Bless all of you. You have feathers, we have songs! anne - juste lovely… juste splendide et très émouvant ! Pablo - Congratulations! With this story and photographs you have achieved that it excites me. Yves - Hi, I’m writing you from Switzerland in Europe. A local Swiss newspaper (here the link: http://www.20min.ch/community/stories/story/Familienfotos-mit-beruehrendem-Hintergrund-22375380) had an article about your pictures from Olivia and Ben. I have a 15 month old girl and was crying looking at this pictures. This is a great idea and amazing pictures. Olivia is looking so cute. All the best from Switzerland and Merry X-mas! Merry X-MAs an many Happy New Year ! Nobody - Great photos! But.. why public? Elena - I am from Germany and I have seen your photos. Now I am emotional. I also take photos especially from people who love each other. That are really great photos and I think I have never seen a picture that says more. So I think, sometimes you do not need any words to show your story and memories. Thank you for showing that pictures and all the best for you and you daughter. Jody - Ben and Ali are truly soul mates. They created an angel, Olivia. you produced everlasting memories of a beautiful life for your niece..well done! Marty Bower - Beautiful every part of this story. From the beginning of story to the photos and story that goes with them. Thanks for sharing all this, I am sorry for the pain but you turned this in another beautiful moment that touch’s that hearts of many others. I am learning as much as I can about the whole process of photography. I will remember this and hope to use the thoughts behind all this. Merry Christmas to you and you family. Sammy Chin / Deacon Harrity - Touched by your story and photos!!! Romina - Hi! I’m from Argentina and I just saw your pictures… I really loved it, are amazing and all I can to say is not enough. All my love for you! David - What powerful images. Thank you for sharing. Dallas McCarter - Just saw the piece on the Today show…..very overwhelming….what a precious gift for your Olivia….God bless and hope your Christmas and New Year are filled with love. CC - What a beautiful display of hope and love. This is truly moving, heartbreaking and heart warming all in one. 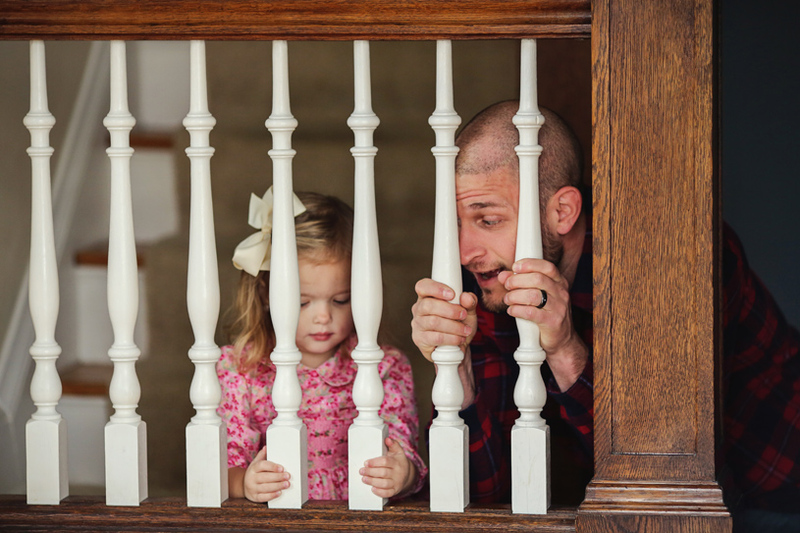 Thank you for sharing this story, these breathtaking photos and a window in to the most gorgeous daddy/daughter relationship. Wishing Ben and Olivia all the best for the new year and beyond. Lourdes Delgado - I’m speechless about the story and the photos. As a mother of a 4 year old daughter and single Mom, its pretty incredible to learn and see through this about real love. Wow, a beautiful inspiring photos. I can see clearly thru the photos about the story without reading about it. Great job and thank you for sharing this with the world. Catherine Hamilton - Absolutely beautiful. Now I have to go to the ladies room to wash my face before the tears dry up. I pray Ben and Olivia have a blessed and happy life. Sarah - This is absolutely beautiful. I read the whole post with tears in my eyes because it is so incredibly sweet and endearing. Your sister would be SO proud of all of you, I’m sure of it. Tammy - Your photo’s of your sister’s husband and daughter, tell such a beautiful love story!! Thanks for sharing this with all of us! Lars - Amazing. What a sad Story. What beautiful Pictures. You did a great Job. All the best for Ben and Olivia. Arthur Lopez - Your story is a wonderfull one, the love between you & your daughter is and will be the strength to move you both forward. I thank you for sharing your life’s story. Julia Ceron Gallegos - Melanie these are beautiful and what a wonderful idea, Olivia is precious my heart goes out to both she and Ben. God is watching over them now and he has been blessed with the most precious gift of all a daughter. God Bless to you all and thank you so much for sharing…..
marilyn holderman - You are a fantastic photographer and captured all the bittersweet joy found in the pictures. I am sure that Olivia will NEVER forget her Mom thanks to you and all that particpated in the photo shoot. Anne - Wow, what a beautiful tribute. It is amazing what you have captured in pictures between these 2 beautiful people. Ben and Olivia are lucky to have each other!! Lisa Ferguson - Your portraits told a beautiful story, I not only felt the pain of the loss, but the joy of a father with his beautiful daughter. and the love shining through. Becky Mann - What precious pictures, and what an adorable little girl. I didn’t know Ben, but I knew his Dad and step mother. How sad that Olivia will miss that beautiful Mother, but so glad she has a loving Daddy. Vanessa Voth - I’m speechless. and in tears. This is amazing. And your words are perfect. The feather gave me goosebumps. Gorgeous all around! Andrea - Thank you for sharing such beautiful photos and bittersweet story. I can feel your heartbreak as a sister, I have 2 myself including a twin. Your niece will cherish these photos for her entire life. What an amazing gift that you have given her! Vera Moraes - Lindo, emocionante! jonatas oliveira - i lost my wife last September by melanoma.i and my 3 years old daughter live in Marlboro,and we are having hard times.beautiful pics. VIAZZI ANDREINA - TENERI PAPA’ E FIGLIOLETTA- BUON NATALE ANGIOLETTO! roxanne - what a moving story-we lost our daughter from leukemia 3 yrs ago and she had a 4yr and 6 yr old boys-lived in a 2 yr old home and he moved out of the home to escape memeries and now is remarried. Many of the ones dear to our heart come visit us-from the departed-and some think were crazy,when we mention their visits-Your pics will be so helpful to Ali daughter in years to come.It was beautiful to see and brought tears to my eyes. Laura Salas - Las fotos son increíbles, muy bellas. La verdad que la historia es conmovedora. Olivia es una niña preciosa con una sonrisa despampanante! Marilene Alves de Lima - Eu realmente não conheço o início da história, mas sou clara em dizer, nunca vi uma história tão comovente como esta, meu coração está em pedaços, esta história tem que ser compartilhada com o mundo mesmo, pois em um mundo tão lindo que Deus fez e tantos momentos tristes em que está passando, esta história com certeza irá emocionar muitas pessoas , mesmo as mais cruéis. É uma pena que tenha tantos pais que não sabem ou melhor não valorizam estes momentos lindos da vida de uma criança e também de sua família, são realmente momentos mágicos! Com certeza ainda vou tirar um tempinho para rever todas essas imagens e saber do início da história, pois estou muito curiosa! Sei que vou chorar, mas não importa, chorar faz bem para alma! Que Deus possa te iluminar e a esta criança também, como todos de sua família. Deus o abençoe. Foi muito bom você compartilhar estes momentos que eram só seus, pois com toda certeza você está contribuindo para emocionar muitos corações que ainda não acordaram para a vida, corações que são emotivos, mas que por egoísmo, ou até mesmo por um desprezo se mostram duros de coração. Deus os abençoe. Ele sabe o que faz, as vezes ficamos chateados com ele e nos perguntamos, por que isto acontece comigo? Isto aconteceu comigo, perdi um filhinho com sete anos e meio, uma criança saudável feliz, cheia de entusiasmo pela vida, brincalhona, esperta, inteligente, sorridente amava a vida mesmo com sua pouca idade, parecia que sabia que logo não estaria mais conosco. Era acostumado andar em um cavalo bem manso, eu temia mas como diziam o cavalo é manso, certo dia ele saiu com um coleguinha de dez anos um cachorro espantou o cavalo e ele caiu, bateu o pescoço em um palanque ( pau de cerca) e faleceu, o menino não levou um arranhão. Ficamos desesperados, na época tínhamos três filhos homens, ficamos com dois. Você pode imaginar tamanha dor que uma mãe ou melhor os pais e a família pôde sentir. Eu ficava ME PERGUNTANDO , porque conosco, com meu filho? Uns vinte dias depois estava eu em frente a uma TV. e naquele momento o reporte dá a notícia de uma criança que caiu do vIgéscimo andar, caiu em cima de uma árvore, levou apenas pequenos arranhões, esta história foi como um exemplo para eu parar de reclamar. Para cada um de nós Deus tem um plano, não é verdade? Sabe qual era meu conforto? Olhar suas fotos, pois na época , há trinta e nove anos atrás, morando em um lugar onde não tinha tantos recursos eu consegui guardar muitas imagens dele. Meu esposo já reagiu de outra forma, não queria ver suas fotos e nem falar no assunto e isto acontece até hoje. È uma longa mensagem, isto porque eu resumi um pouco, mas é para mostrar para você que Deus é a força maior, que sem ele nada seremos, seja a religião que for, devemos ter um Deus para acreditar e confiar. Fique com Ele e tenha bastante Fé. Deus é Maior. Felicidades para a família e para esta linda criança em especial…. Joel Osborne - Very moving,it makes you appreciate your loved ones even more.We should all be so lucky to have loved, and continue to love everyone around us, because they could be gone tomorrow. Keep up the great job your doing raising your little girl.Our best regards and have a really nice Christmas and New Year with many more to come . Bye for now from the Osborne family of Vancouver Canada. MARSHA COLEMAN - Thank you for sharing what is the most lovely and gracious set of Father/Daughter photos on all of Facebook! Ren - Since I came across your post, I can’t help but go back again and again to read and look at these beautifully captured images. I cry every time. It is beautiful…a beautiful capture… I am so sorry for the loss but your memories are recorded and not forgotten.. much love REN..
denelle - I lost my husband when my now 5 yr old was 22 months old. It is hard and i know what you are going through the pictures are breath taking and such a great way for your daughter to see and for the mom to be a part of the pictures also. i cried . Laurent - Très belle photos, très bonne idée, très bon souvenir. Bon courage au Papa et à sa petit fille. Kati - These photos and story found their way all the way to Finland. Stunningly beautiful yet extremely sad. I’m mesmerized. I’ve had the tab open on my browser for three days now without being able to close it. I just have to have another look at the photos every now and again. Thank you for sharing the story and the photos. God bless and Merry Christmas! chantesse - Ces images sont magnifiques et l’histoire tellement touchante. On voit le bonheur transpirer malgré la douleur. valeska - Es hermoso realmente estoy tan emocionada. Les deseo mucho amor en sus vidas acompáñense siempre. Cheng kwan lai - Amazing photography and heartwarming story behind. Felt every bit of the soul in the picture. Cried all the way and feel totally for the family. I am a liver cancer survivor with ongoing treatment. I know every bit of the pain you go thru’ everyday. I see so much strength in you people doing this as a sign of closure and moving on. Ali must be a very special person and Ben, you must be very special too to be chosen to share her life. Dear Olivia, all the good quality of your mama is in you. Have a blessed Christmas and a New Year. jinny - I was contact with Ben’s heartwarming behind story from website news first. Lovely daughter and father!! And husband who still love his wife!! I’d like to introduce your photo story on my blog completely. Lisa - thank you so much for sharing – just beautiful. the feather so lovely. Boileau Maïté - Que d’émotions et de beauté. Votre femme était magnifique et votre fille lui ressemble. Bravo pour avoir eu la force et le courage de rentrer à nouveau dans ces souvenirs. C’est magnifique et votre fille sera fière de vous quand elle sera en âge de comprendre. Je vous souhaite, quand vous serez prêt ou quand l’occasion se présentera, de refaire votre vie et de trouver à nouveau le bonheur sans oublier celle que vous avez si bien aimée. Une mamy française. Edgar - Great way to say goodbye! Rick - Wow!! So powerfully moving. Couldn’t help keep the tears back. Being a dad with a blonde 10 year old daughter who lost his family thru divorce, I just couldn’t fight the tears. But I did get your message of love Ben. You and Olivia are truly blessed to have one another. I can see the love you have for her. And I can see you are her Superman. May you both have continued love and happiness in your lives. God bless.
. I have a daughter in and I do not want to ever leave him. Let God give you fortitude and longevity. Melanie - thank you so much for what you have shared. I have spent the last hour following pictures and websites you guys have made and your stories have touched my heart. I am fifteen and live in Utah. My name is Melanie Berry and my older sister and best friend Allisa passed away almost two years ago on January 6 2012 after a three year fight with a cancerous brain tumor. She was only 18 years old. I miss her dearly and I have not known what to do about it. Your story of love and courage to move on helps a lot. Thank you for your story and inspiration. God bless you and your beautiful daughter. Bina - This one is a true HIT. Thank you for such heartwarming love and strength…I am a survivor…But nothing can compare to the pain you have endured…Your strentgh will carry on and grow..
zoupic - Merci, thank you very much for sharing this moment of humanity. The pictures are beautiful and so is the family. Love is all. Thank you. Javi - That picture of the daughter and father hugging made me teary for the first time since 1989 (yes I remember that date well to). The absolute love, faith and trust that little girl has in her father is the total essence of undying love. May God bless you and your family. Kris - Powerful Images. Bold and strikingly impressive photography. The images have captured every single emotion. God Bless. Dr Isabella Daniel - I am touched by this amazing love of Ben and Olivia. I understand the pain of Ben losing Ali. May The Lord protect Ben and help Olivia to understand when she grows big how much her father loved her mom. Greetings from India. Dominique - ..so touching. Powerful images. Just wow. I wish you all the best. Mona - OMG! !Beautiful pictures and so touching,wish you the best with your beautiful daugther please keep her safe and may god bless you and your family……Stay strong for her…..
Mike - Melanie, Thank you so much for sharing this with the world! I felt the Spirit so strongly as I viewed the photos. I’ve lost both my parents and miss them dearly. I know that you will see your sister once again and that Ben and Olivia can be sealed with her for eternity. The power to bind family relationships for time and eternity has been restored to the earth. I would love to share with you how this is possible. It has brought great peace to me and my family. Please let me know if you would like to know more. Thank you again and may God bless you and your family. Marielle - C’est un très beau reportage photo. Qui traduit les émotions et fait montre de beaucoup de sensibilité. Un très beau cadeau que se font le Papa et l’Enfant. Margarita - what a wonderful and inspiring experience..priceless! Uedja - Simplesmente emocionante. Perfeito! Tomas - I cried out of happiness. The pictures speak for themselves. Those beautiful faces, that house, the memories of a loving mother and the present father-daughter nexus… It is pure love. Sonia Ferreiras - Parabéns,sem palavras. Puri - O Amor é tudo,essa menina tem um Pai maravilhoso,e dá pra sentir que ela é Feliz!! Irene - Hello Melanie & Adam ! our company is based in Bangkok,Thailand. and i will definitely show credit for your website. I will also inform you when the blog is going to be published. Aliya - Hello, Melanie and Adam! I am deputy editor of the wedding magazine ‘Wedding Key’ in Russia, Kazan. 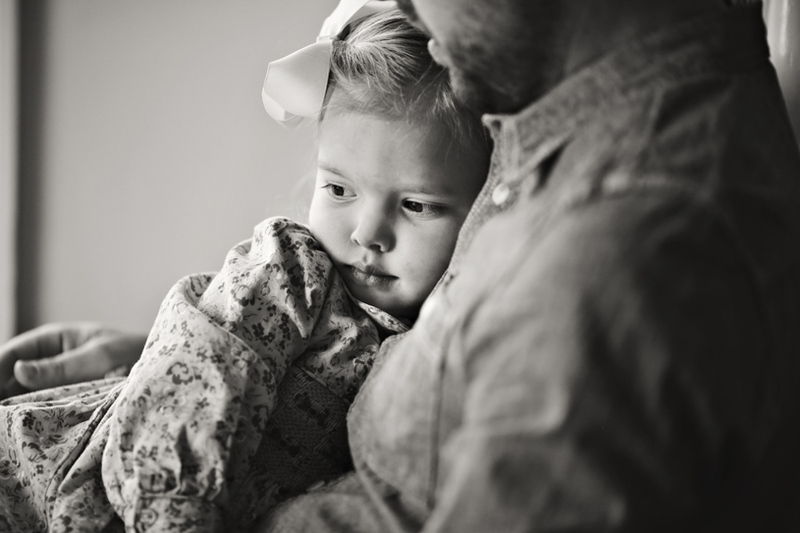 The theme of our summer issue will be fathers and daughters. We were amazed about Ben’s and Ali’s history and fascinated by your photos with Olivia and Ben. We would like to publish them in our magazine and tell our readers about Ben, Ali and Olivia. Is it possible? Please contact me. Miriam - Time to time, I´m sure you you’ll find the piece your heart needs, you´ve the courage to fight, you´re a great father, I realize in your photos, the love that you transmit to your child is so huge, she´s so pretty, so nice…My best wishes to you!!! Jacqueline - This is ABSOLUTELY a beautiful way for this beautiful family to keep the memory of Wife/Mom alive. The pictures are stunning and I can only imagine the love in each room of that beautiful home. Little Olivia is ADORABLE and I’m sure she misses her mommy every day but will forever be able to have a little piece of her. Please bear in mind…what a beautiful moment it would be to do another set of photos on Olivia’s prom or her own wedding with her dad in the same home (if possible) in the future! I’ll be looking! 😉 Thank you so much for sharing….this made my day! Hope you’re enjoying the holiday season! I’m a freelance photo editor helping out Hearst Digital Media and the editor from Redbook.com and she would love to run the story about Adam, Olivia, and Ali with the photographs you took. Please let me know if it’s would be possible to use your photos.